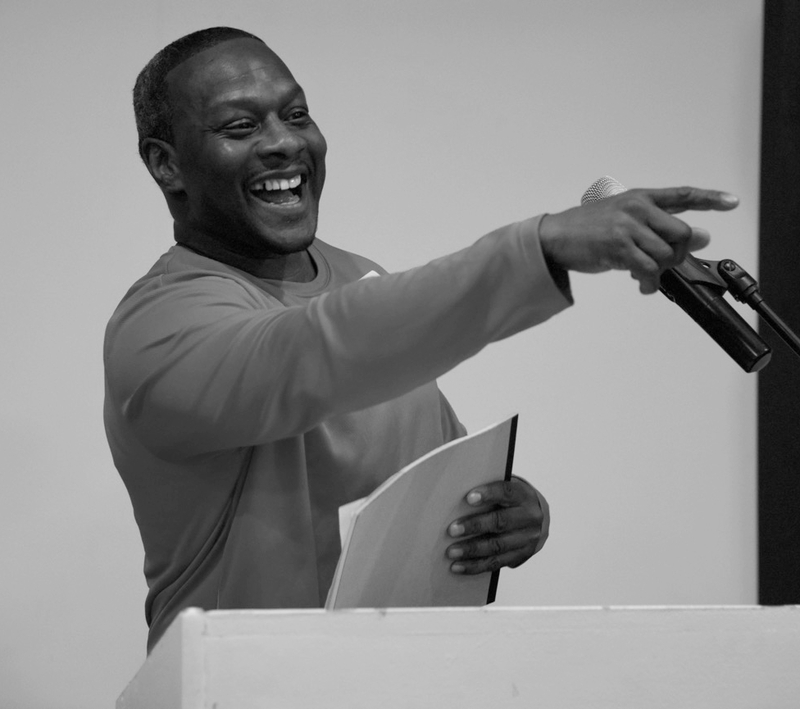 Raising My Voice is a leadership training program for formerly incarcerated individuals that helps participants develop public speaking skills, prepares them to serve as advocates for effective, humane reentry policies and practices, and fosters civic engagement. By sharing their stories with diverse audiences, our speakers are also expanding the Circles of Support community. For an individual to be eligible for Raising My Voice, they must be able to demonstrate a commitment to transforming their lives post incarceration and be able to commit to a comprehensive training schedule. If you or someone you know is interested in applying, click here. Training occurs once a week for the entirety of the RMV program cycle. A newly crafted curriculum specific to the group of formerly incarcerated individuals is utilized for each cycle. The training is typically held in a local faith center. A fellowship dinner opens each training session for trainees and faith volunteers. Training activities include trauma awareness, public speaking practice, and facilitation of civic engagement activities. Upon completion of the training our Circles of Support community celebrates the accomplishments of all members of the cycle. Our Circles of Support staff, host church, family friends and community members all come together for a graduation ceremony. The Speaker's Bureau invites graduates of the Raising My Voice program to share their compelling personal narratives with new audiences. In telling their stories, the men and women of Raising My Voice build a meaningful platform for advocacy and change.